Bali Limousine is a car rental company offering exclusive automobiles with driver. Our services cover from airport-hotel transfers or city tours to business meetings, congresses, conventions or weddings. Bali Limousine is a centrally located in the traditional village of Ubud, Gianyar. We pride ourselves on personal service, well-maintained, safe cars and an extensive knowledge of Bali. When you rent a car from BALI LIMOUSINE, you are not just renting a car, but joining a new family of friends on Bali. Owner and operater Wahyu Sudarmana of Bali Limousine has been serving locals and tourists on Bali for more than five years. With so many opportunities for fun, adventure and beauty, it can be overwhelming to plan the perfect vacation to the Island. 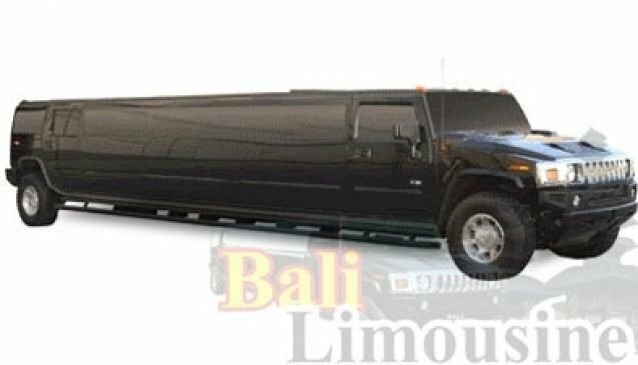 Bali Limousine is here to help. We are always happy to share our insight and experience, to ensure you have a truly wonderful stay here. Come and join us in discovering and exploring the real Bali, The Paradise Island of Indonesia. The staff at Bali Limousine relies on feedback from our past customers, so we can offer suggestions for the perfect Bali experience. We are proud of our close relationships with our customers and are more than happy to take the time to answer your questions. Year 2010. Capacity 15 passengers.